The court sanctioned plaintiff $1 million and ordered plaintiff's counsel to pay defendants' costs and attorneys' fees for destruction of evidence. "[Plaintiff's consultant who developed the source code for the prior art software] admitted that he wiped six of the seven zip disks that were produced by [plaintiff] as purportedly containing the original source code of the [prior art software] that would invalidate [defendant's] patents. . . . Despite the Court’s inclination to take an officer of the Court at his word, a thorough review of all the evidence supports an opposite finding. This Court finds it impossible to believe that it is merely coincidence that the seventh disk happened to be wiped . . . the same day that [defendant] was scheduled to inspect it. . . . [Defendant's] contention that, virtually every piece of media ordered produced by the Court in May 2007 and July 2008 was wiped, altered, or destroyed after those orders were entered, is supported by forensic analysis. . . . This Court finds that both [plaintiff] and its counsel acted willfully in bad faith by engaging in conduct that resulted in deception of both the opposing party and the Court, the destruction of relevant evidence, the waste of judicial resources, and the undermining of the judicial process. Rosenthal Collins Group, LLC v. Trading Technologies International, Inc., et. al., 1-05-cv-04088 (ILND February 23, 2011, Order) (Coleman, J.). The magistrate judge recommended granting defendant's motion to transfer venue of plaintiff's qui tam false marking action. "[T]he alleged actions that give rise to this lawsuit occurred in New Jersey. Plaintiff has alleged that [defendant] and its employees located in New Jersey have acted with an intent to deceive the public, creating an even stronger local interest in New Jersey. . . . Importantly, Plaintiff has no ties to this district, and [defendant] is headquartered in New Jersey. . . . On balance, even considering the additional products Plaintiff seeks to add to this case, this case has substantial factual connections to the District of New Jersey and no meaningful connection to the Eastern District of Texas." Defendant's motion to transfer plaintiff's qui tam false marking action was granted. "[T]he significant majority of potential witnesses in this case are located near Rhode Island. The defendant names two witnesses that are likely to testify and are located in Seekonk, Massachusetts, which is less than 8 miles from the District of Rhode Island courthouse. The defendant is not aware of any potential witnesses located in the Eastern District of Texas or within 100 miles of the Marshall Division." Defendant's motion to stay discovery pending its motion to dismiss plaintiff's false marking claim was denied. "Taking a 'preliminary peek' at the merits [of defendant's motion to dismiss plaintiff's false marking claim], the court finds good reason to question if Defendant will prevail . . . Defendant argues that Plaintiff fails to identify 'one "paid announcement" or document that can qualify as an "advertisement," even under the broadest interpretation.' At best, Defendant argues, Plaintiff has alleged promotional statements or interviews, which are not 'advertisements,' as contemplated by the statute. Yet the Amended Complaint includes allegations that Defendant communicated its use of a patented water treatment technology on its website, on Twitter, on its menus . . . and more, with the knowledge that it owned no patent. These allegations may be sufficient to plead a 'uses in advertising' violation of the false marking statute." The court granted defendant's motion to dismiss plaintiff's qui tam false marking claim "on the ground that the qui tam provision of 35 U.S.C. §292(b) is unconstitutional." "The Take Care Clause of Article II of the Constitution provides that the President 'shall take Care that the Laws be faithfully executed.' . . . [U]nlike the FCA, the False Marking statute lacks any of the statutory controls necessary to pass Article II Take Care Clause muster. The False Marking statute essentially represents a wholesale delegation of criminal law enforcement power to private entities with no control exercised by the Department of Justice. It is unlike any statute in the Federal Code with which this Court is familiar. Any private entity that believes someone is using an expired or invalid patent can file a criminal lawsuit in the name of the United States, without getting approval from or even notifying the Department of Justice. The case can be litigated without any control or oversight by the Department of Justice. The government has no statutory right to intervene nor does it have a right to limit the participation of the relator. The government does not have the right to stay discovery which may interfere with the government’s criminal or civil investigations. The government may not dismiss the action. Finally, the relator may settle the case and bind the government without any involvement or approval by the Department of Justice." Defendants' motion to dismiss plaintiffs' willful infringement claim for failure to state a claim was denied. "The defendants argue that the court should dismiss the plaintiffs’ willful infringement claim because the plaintiffs fail to allege 'objective recklessness' as required by [In Re Seagate Tech., LLC, 497 F.3d 1360 (Fed. Cir. 2007)]. Specifically, the defendants state that '[t]he Amended Complaint does not state even a single fact that suggests "an objectively high likelihood that [the defendants’ alleged] actions constituted infringement of a valid patent" and that [the defendants] knew or should have known of this objectively defined risk, both of which are necessary elements of a willful infringement claim. . . . Although the defendants properly assert that Seagate sets forth the standard for establishing willful infringement, the defendants fail to recognize that Seagate is not controlling for purposes of pleading under Fed. R. Civ. P. 8(a). . . . Ultimately, the plaintiffs’ allegation that the defendants were aware of the plaintiffs’ five patents that the defendants allegedly had infringed and continued to infringe upon, is sufficient. . . ."
In granting defendant's motion to transfer venue of plaintiff's qui tam false marking action, the court disagreed with plaintiff that the Eastern District's familiarity with the governing law weighed against transfer. "This Court is aware of the high number of false marking cases filed in this Court and also notes that [plaintiff] has accounted for approximately fifty of [more than 200] cases. . . . Although this Court may have a greater familiarity with the law of false marking due to the hundreds of cases filed, the Court disagrees that this factor weighs against transfer. The false marking statute is federal law and both federal courts are equally capable of applying such federal law." The court granted plaintiffs' motion for attorneys' fees under 35 U.S.C. § 285 and rejected defendant's argument that more than $750,000 in fees where the jury awarded damages of $50,000 was unreasonable. "[T]here is not even a hint of [plaintiffs'] counsel having spent 'excessive time' -- of their having overtried the case. Their vigorous prosecution was necessary to counter [defendant's] vigorous defense. And their billing passed the acid test of the market: 'the best evidence of whether attorney’s fees are reasonable is whether a party has paid them'. . . ."
Plaintiffs' motion to dismiss defendant's false marking counterclaims for failure to state a claim was granted. "[Defendant] alleges that [plaintiff] has falsely indicated that [its product] is patented under the [patent-in-suit], when, in fact, [plaintiff] knows that [its product] is not made according to the methods claimed in the [patent-in-suit]. . . . [Defendant's] allegation that [plaintiff] cannot prove that its banner is made in accordance with the methods of the [patent-in-suit] is an insufficient allegation of intent to deceive. Specifically . . . since [plaintiff's] legal position as to the [patent-in-suit] was sufficiently plausible, [plaintiff] could not have acted with the deceptive purpose necessary to trigger liability under the false marking statute." Plaintiff's patent claims for a computerized system for tracking insurance policies were invalid for failing to claim patentable subject matter. "[Plaintiff] claims an improved method for keeping track of several different values . . . associated with the management of a separate account life insurance policy with a stable value protection feature. The determination of those values is a matter of the application of mathematical calculations, themselves unpatentable abstractions; and the storage and communication of those values is accomplished using existing devices. "[Plaintiff] . . . argues that . . . its claims have 'functional, palpable applications in the field of computers.' The Court disagrees. Rather than improving the functioning of computers, as [plaintiff's] argument would dictate, the claimed invention uses computers to improve the administration of separate-account life insurance policies." The court denied defendants' motion for summary judgment that plaintiff's web commerce patents were invalid for failure to claim patentable subject matter under Bilski v. Kappos, 130 S. Ct. 3218, 3226 (2010). "[T]he present invention is a method for business-to-business Web commerce between businesses and within businesses involving an automated business-to-business web commerce system using an integrated database management system (DBMS). . . . [T]he Court cannot find that the claims at issue, each incorporating the specially programmed DBMS as a claim element, exhibit abstractness so manifestly as to override the overall inclusiveness of § 101 emphasized by the [Research Corp. Technologies, Inc. v. Microsoft Corp., 627 F.3d 859 (Fed. Cir. 2010)] court. . . . The claims do not merely invoke the 'internet' as an postsolution limitation; instead, the claims rely upon a constantly-updating database, specially programmed, that is accessible from any internet-enabled computer so that distant businesses and offices may receive, process, track, and input business activity instantaneously. The DBMS element in each of these claims supports the view that the claims do not merely incorporate it as insignificant postsolution activity." The magistrate judge recommended granting defendant's motion for pre-judgment interest despite plaintiffs' argument that such an award would constitute "piling on." "Apart from the fact that the institution of the litigation by [plaintiffs] was, itself, wrongful and thus was the efficient cause of all that occurred thereafter, [plaintiffs'] argument fails to acknowledge that the purpose of an award of fees or of pre-judgment interest is compensatory, not punitive. Hence it is quite beside the point that the patent rights -- that were never [plaintiffs'] in the first place -- have been declared unenforceable. [Plaintiffs have] no more been punished . . . than is a person who is required to return stolen property to its owner. And [plaintiffs have] not been punished in the slightest by having to compensate [defendant] for the losses caused by [plaintiffs'] filing of a suit [they] had no right to bring." "The court granted defendants' motion for sanctions against plaintiff for failing to file clear and precise final infringement contentions. ""The Court directed [plaintiff] to file Final Contentions . . . to conform with the . . . Modified Claims Construction Opinion and Order. In addition . . . the Court ordered [plaintiff] to be clear and precise in its Final Contentions so as to permit focused discovery and ensure efficient resolution of this MDL with regard to the cost, time, and effort expended by the parties and the Court. [Plaintiff] has flouted the Court’s direct order. . . . [Plaintiff] is in the business of litigation. . . . While the threat of litigation alone often achieves royalty payments, the threat of never-ending discovery can induce even larger royalty payments. Frankly, this appears to be [plaintiff's] strategy in this case. The Final Contentions are purposefully vague; they were drafted to further [plaintiff's] intention to engage in protracted and expensive litigation. . . . For this astounding and brash failure to follow its orders, the Court will impose a reasonable sanction against [plaintiff] -- [plaintiff] will be required to live with its Final Contentions as they stand without further modification." The court denied plaintiffs' motion for a permanent injunction in part because plaintiffs failed to establish irreparable harm. Since defendant's infringement was from manufacturing -- not sales -- in the U.S. and defendant could quickly relocate to Mexico, plaintiffs failed to show that continued manufacturing infringement in the U.S. would cause irreparable harm. "[Plaintiffs] must establish that [defendant's] manufacturing operations in the United States are continuing and will continue to cause irreparable harm if not enjoined. [Plaintiffs], however, [do] not appear to dispute that [defendant] would be able to move its remaining manufacturing operations to Mexico almost immediately if the court enjoined it from continuing to manufacture its products in the United States." Defendants' motion for summary judgment of invalidity of plaintiffs' alpha-amylases patent for lack of written description was denied. "It is not without hesitation that I am denying defendants’ motion. Plaintiffs do not contradict defendants’ observation that, if plaintiffs’ position is accepted, it means that plaintiffs disclosed 8.589 x 1042 possible inventions in their specification. However, to the extent the specification would require undue experimentation before a person of ordinary skill in the art could discover the claimed invention, that may suggest a lack of enablement rather than a problem with the written description." Plaintiffs' motion in limine to exclude certain arguments that would ask the jury to nullify patents in favor of lowering the cost of generic drugs was granted in part. "Plaintiffs ask this Court to preclude Defendant from informing jury (1) that generic drugs are less expensive, (2) the purpose of Hatch-Waxman is to balance the rights of the innovator with those of generic drug manufacturers, (3) Plaintiff has a patent monopoly, and (4) the expected role of generic drugs in the healthcare reform. . . . Plaintiffs’ motion with regard to precluding references to a patent monopoly or the role of generic drugs in healthcare reform is granted; Defendants are precluded from extolling the benefits of generic drug pricing, but testimony regarding the difference in prices between generic and brand name drugs is allowed since the experts have relied on such costs in their respective damages analysis; and Defendants are allowed to present an initial and limited presentation of Hatch-Waxman and the generic approval process." Bilski Does Not Invalidate Patent Claiming "Electronic Payment System" Involving a Non-Cash "Spending Vehicle"
Following the Supreme Court's decision in Bilski v. Kappos, 130 S.Ct. 3218 (2010), the magistrate judge issued a new report recommending that defendant's motion for summary judgment of invalidity be denied as to claims directed to an electronic payment system that involved a "spending vehicle." "Although an abstract intellectual concept -- collateralized loans -- certainly underlies the [patent-in-suit], it differs in important ways from the patent at issue in Bilski. Where the Bilksi patent’s independent claims disclosed the abstract idea of hedging, [the patent-in-suit] describes a particular application of an abstract idea, particularly, the application of collateralized loans to the field of assignable government payments in exchange for something of value. . . . The [patent-in-suit] clearly provides that a spending vehicle is an '[a]lternative to cash payments,' thereby limiting the applicability of the [patent-in-suit] to the use of non-cash collateralized loans in the field of assignable government payments in exchange for something of value. . . . [T]he spending vehicle limitation is meaningful because it does not preempt all uses of collateralized loans in the particular field of assignable government payments in exchange for something of value." The magistrate judge recommended denying defendant's motion to dismiss plaintiff's qui tam false marking action for failure to state a claim. "An article that is no longer protected by a patent -- because it is held unenforceable via inequitable conduct -- is not 'patented,' and it is more aptly described as 'unpatented.'. . . Similarly, an article marked with an unenforceable patent imposes that same cost on the public. Such cost is at least part of the reason why the false marking statute was created by Congress." Defendants' motion to stay pending inter partes reexamination was denied where plaintiffs claimed irreparable harm if the case was delayed for six years or more. "[Plaintiff] asserts that the alleged infringement has cost it roughly a billion dollars in annual sales, and has forced it to lay off key employees and reduce its research and development programs. As such, [plaintiff] asserts that its very existence as a competitor in the drug-eluting stent field is threatened. The Court agrees that [plaintiffs] will be prejudiced by the imposition of a stay. [Plaintiff] alleges it has suffered significant decline in its market share, and if it is required to wait for the Patent Office to complete its reexamination it may be harmed further. Moreover, a significant delay in this litigation may result in evidence becoming more difficult to access as witnesses may become unavailable and memories fade. . . . [T]he possibility that some of the issues in this case may be resolved or narrowed weighs only slightly in favor of staying this action, and is not significant enough to outweigh the other considerations . . . "
The court denied defendant's motion for summary judgment of no willful infringement of plaintiff's cargo trailer patents. 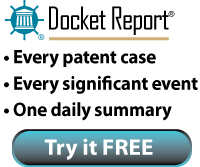 "[G]enuine fact disputes exist as to whether [defendant] proceeded with bidding and building the allegedly infringing trailers before performing a sufficient analysis to determine whether [defendant] had a reasonable invalidity defense. The timing of the invalidity opinion matters because 'timely consultation with counsel may be evidence that an infringer did not engage in objectively reckless behavior.' If, however, [defendant] did not evaluate its potential defenses as to the Patents until after it began bidding and manufacturing the allegedly infringing trailers -- despite knowing about the Patents -- then such a course of action could suggest objective recklessness." Defendants' motion to stay pending inter partes reexamination was denied based upon the progress of the reexamination compared with the case. "Although some district courts justify staying a patent case based on the federal statute requiring that PTO reexaminations be 'conducted with special dispatch,' this court affords minimal weight to such statutory provision as the undeniable reality is that even if the PTO promptly responds to all filings, the parties often request extensions and the reexamination process frequently takes several years to complete. . . . Here, the PTO reexamination was filed less than six months ago, and the PTO reexaminer has only recently issued a 'first office action.'. . . As for the instant litigation, the complaint was filed nearly a year ago, a Markman hearing has been conducted, significant discovery has been completed. . . and a trial is scheduled to begin in approximately three months."